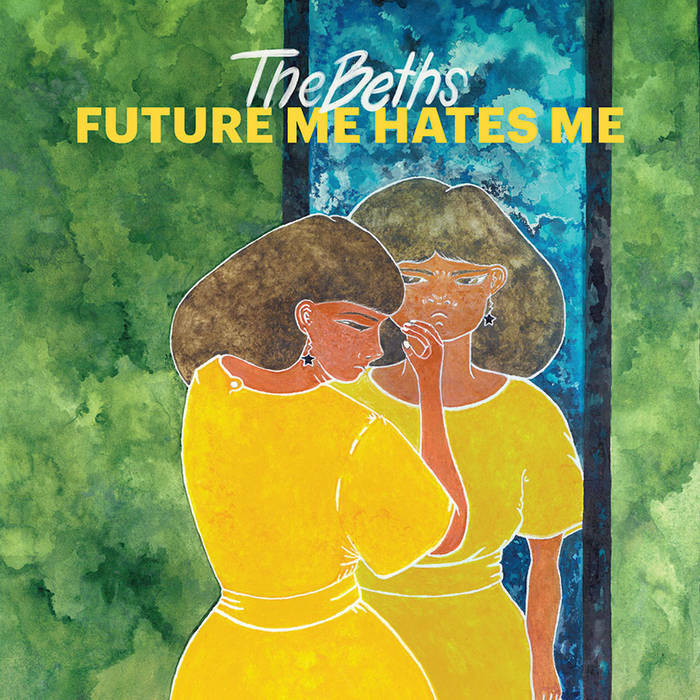 The first time I wrote about The Beths “Future Me Hates Me”—which is already near the top of my own personal Best of the Year list 2018 , I zeroed in on one specific aspect of it: the album’s sense of melancholy. And while that’s undeniably present on the record—on the rip-roaring “Uptown Girl,” Elizabeth Stokes vows to “drink the whole town dry”—but what’s also present is a sense of elation. The starry-eyed deep-in-love ballad “Little Death” offers a deeply earnest and touching depiction of true romance, Stokes gently singing, “Your smile, it makes me weak/ and the red spreads to my cheeks/ you make me feel three glasses in,” as the band steadily accelerates behind her, as if matching the rhythms of her heart. The whole record is shot through with deceptively complicated musicianship and attention to craft; what at first feel like full-blast indie rock songs soon open up to reveal deft, complicated guitar work, clever, counterintuitive structures—like the way the coulda-been-on-Jade-Tree rave-up “Not Running” slams the brakes midway through to turn the melody over to group-sung a cappella vocals. It’s pitch perfect power-pop with smart, sad lyrics and insanely catchy hooks. The more you listen, the more you notice the little filigrees and pivots that usually start showing up on a band’s fifth record, not their first—which is both an accomplishment and a challenge. If The Beths are this good already, just imagine where they’ll be four albums from now. Upon first listen, The Beths’ debut album, Future Me Hates Me, bleeds together too much, the songs slipping imperceptibly from one to the next. But soon enough, the bubble-grunge riffs and Motown-backup-singer “whoa-ohs” start to distinguish themselves. The New Zealand band has two gears: The first is a more classically pop-oriented retro sound, like a ’60s girl group doing the shimmy-shimmy-cocoa-pop but with guitars and a shoegaze influence. The second is a caffeinated ’90s alterna-rock head rush, with Superchunk-level riffs and Velocity Girl vocals courtesy of singer-guitarist Elizabeth Stokes. It can tend toward the simplistic—the title track apes early Weezer, for example—but the middle of the album (particularly “Not Running”) shows that when the band embraces its more rambunctious and harder-edged sound, it captures something powerful. By the time the last notes of the slow-build barnburner “Less Than Thou” close things out, Stokes’ mission is clear: a joyous refusal to stop riffing, no matter how heartbroken.